From an assignment for the 2016 WWF global campaign. 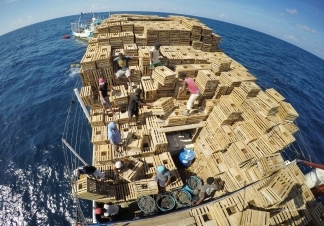 Lobster fishery represents a multimillion dollar business. 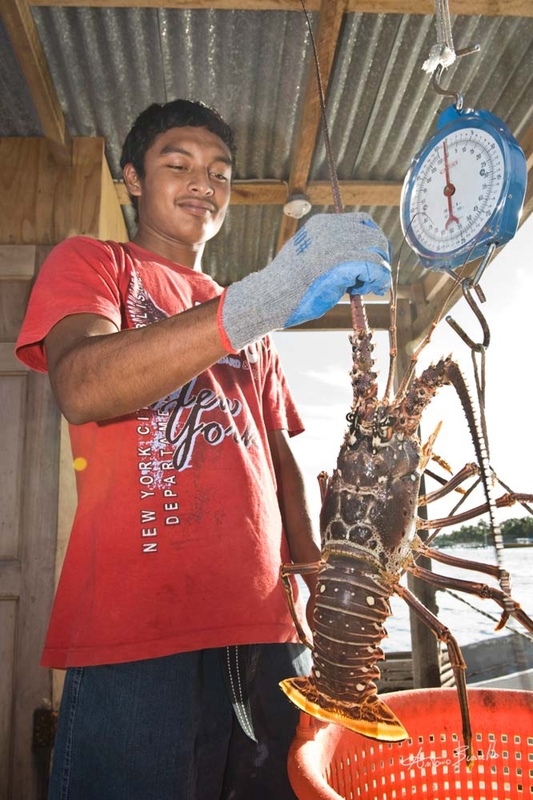 With an average of 37,000 tons of lobster fished every year and an estimated value of US$500 million, it provides a livelihood for approximately 250,000 people along the Mesoamerican reef, including artisanal and commercial fishermen and all the people involved in the process until the lobster reach the buying countries. (FAO 2013). 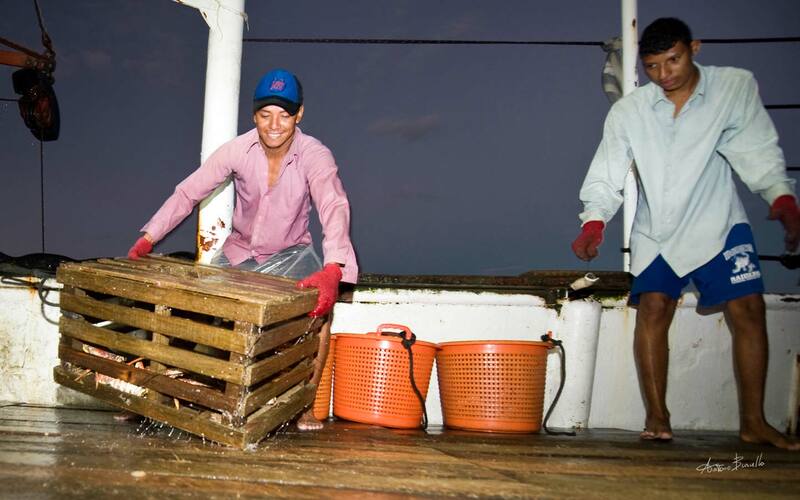 It is one of the largest and most important fishery in Central America and Caribbean and most of it is consumed in the United States. 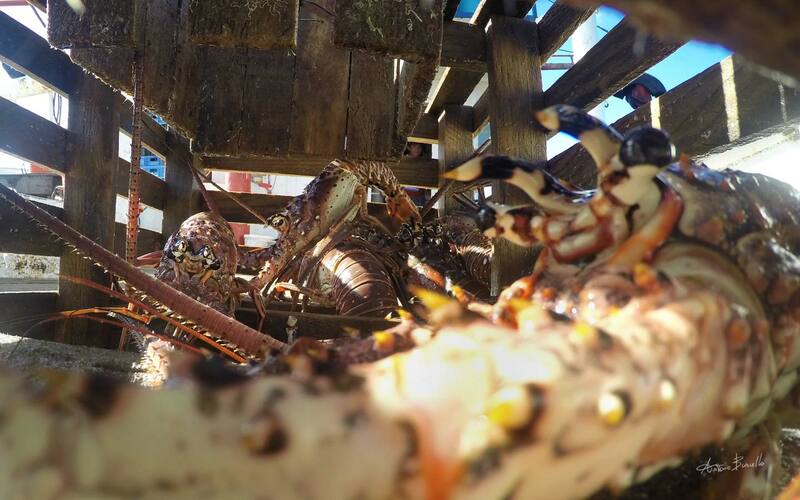 According to the C/A Center for Marine Studies, Honduras alone exports over $40 million worth of lobster just to the U.S. market every year. However, working conditions are very hard and some times dangerous for both trap boat fisherman who spend eight months at sea. 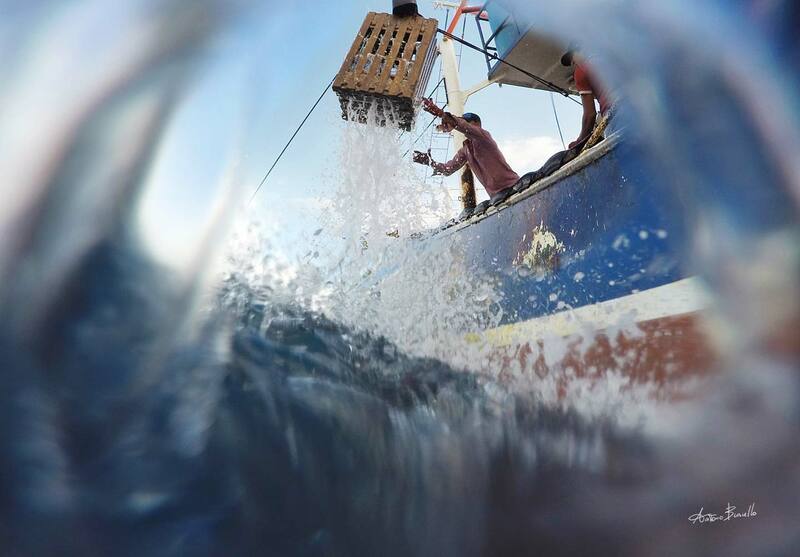 They endure hard living and working conditions, especially scuba diver fishermen who risk their life daily for the amount of dives. Spiny lobster has been overfished in the past without any control and regulation. 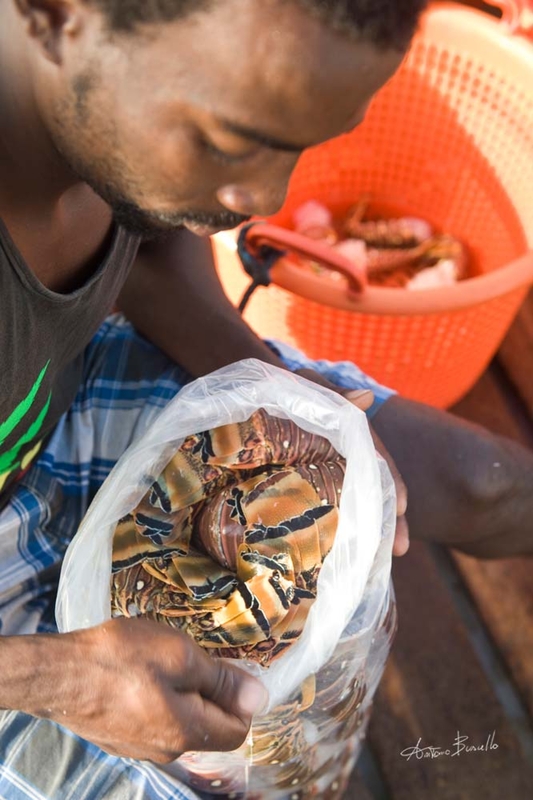 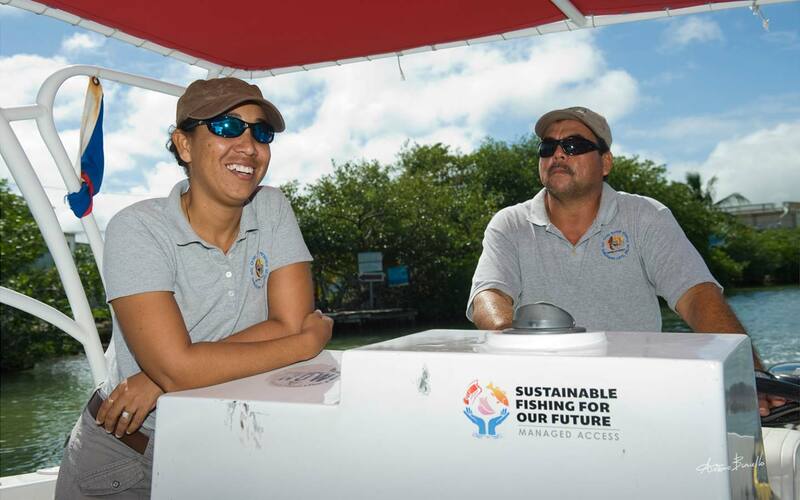 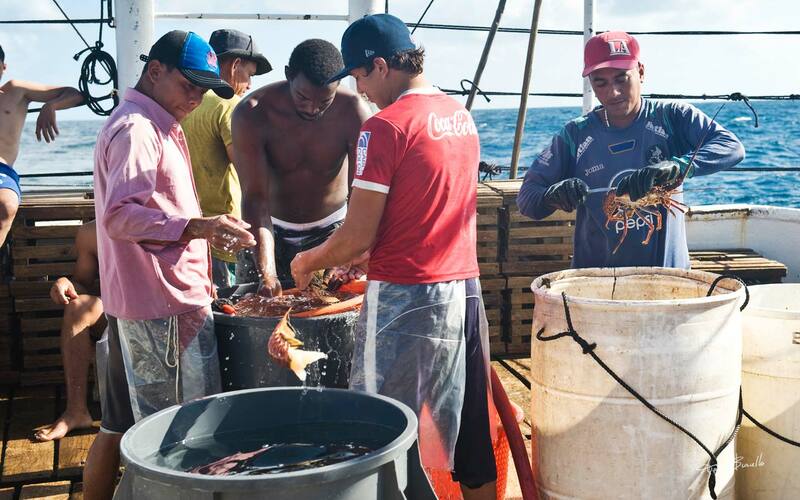 WWF has been working for years with the Caribbean countries involved in lobster fishing to obtain a more responsible fishery, in line with the growing demand on the market. Finally, in 2009, Central American waters introduced a four month ban on lobster fishing during the reproductive season. 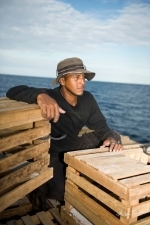 This ban responds to the Fisheries and Aquaculture Integration Policy and the ordinance OSP-02-09 for the “Regional Regulation of Caribbean Lobster Fishing, issued by the organization for Central American Fisheries and Aquaculture Sector (OSPESCA) and signed by the governments on May 21, 2009, and It is still valid. Along with the ban a new set of rules were introduced, like lobster traps with an escape opening for juveniles, the return of female carrying eggs back in the water, a minimum lobster size and the prohibition on lobster diving. 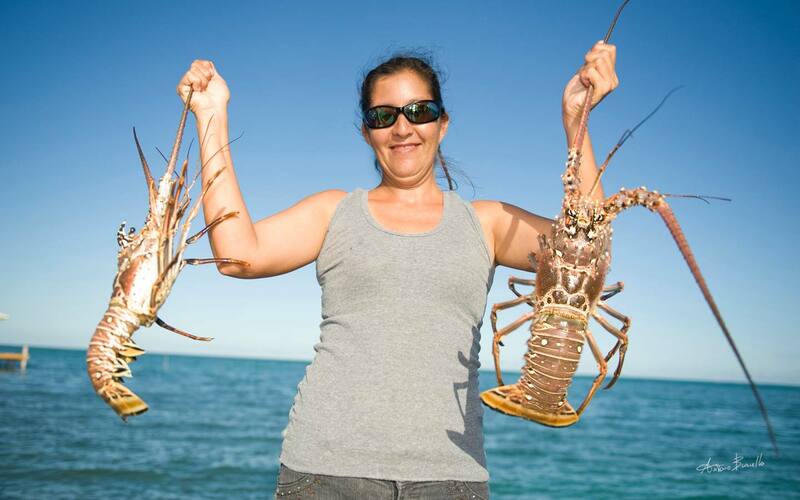 There are two different commercial ways to fish lobsters. 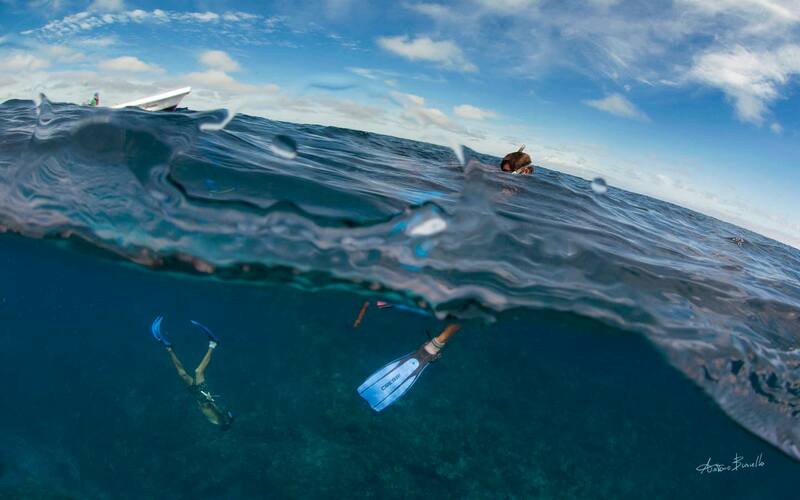 One is with traps the other one is using scuba divers. 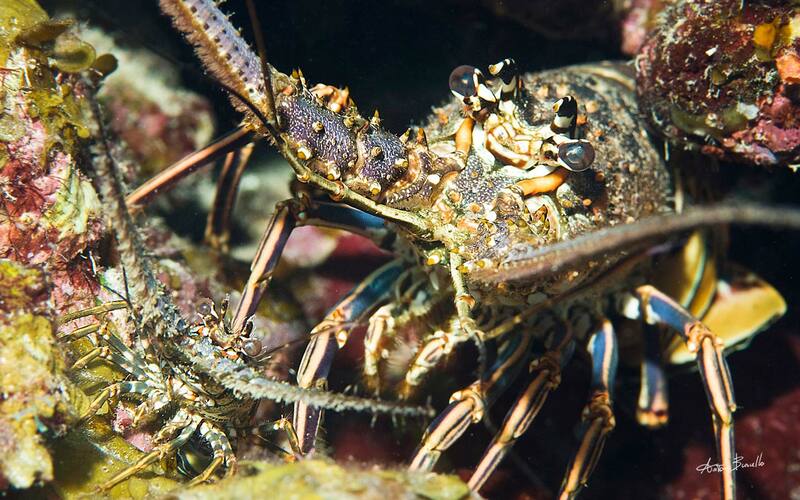 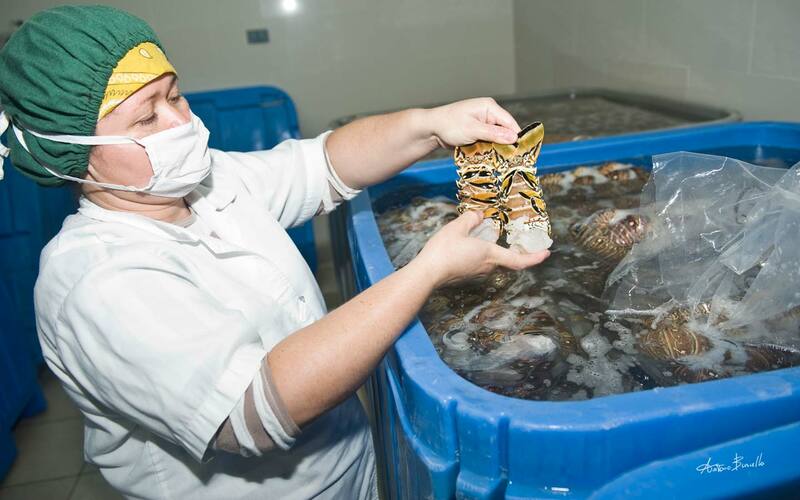 Scuba diving methods for fishing lobster are very dangerous, It is probably the most dangerous job in the world, the intensive diving can cause decompression sickness with paralysis and in many cases even death. Despite new law and the threat of stopping buying lobster from the U.S, it is a matter of fact that in some countries like Honduras and Nicaragua scuba diving lobster fishing is still allowed, because of the high revenue. 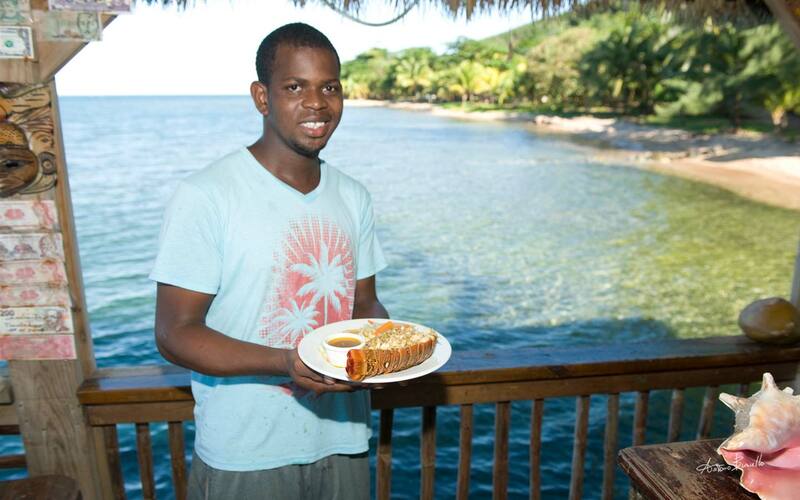 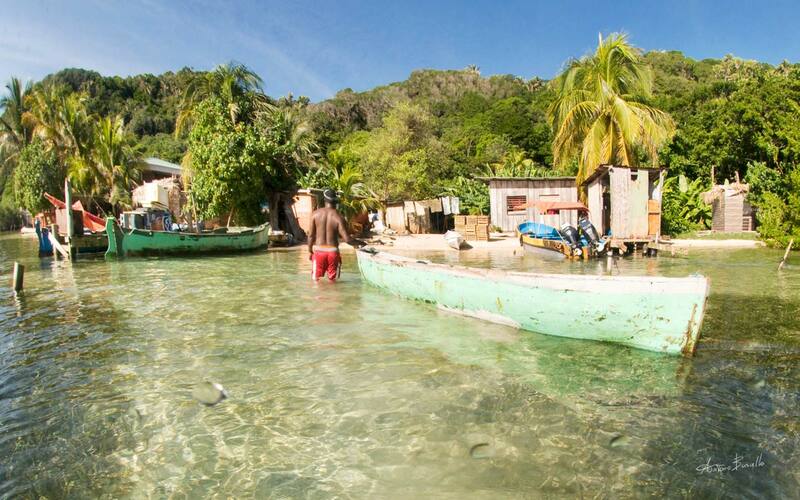 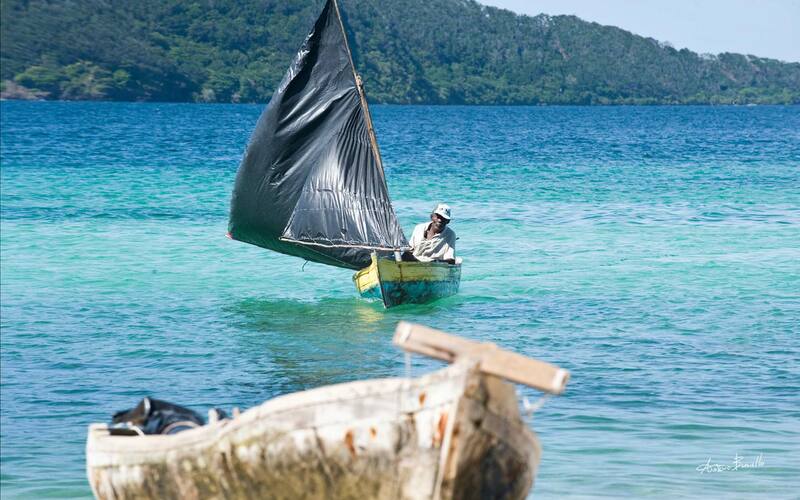 Many local communities like the Garifuna in Cayos Cochinos, Honduras are working with the local governments and institutions for a better and more sustainable fishing, giving them a legitimate income in respect of the environment and in line with the rules and regulations. 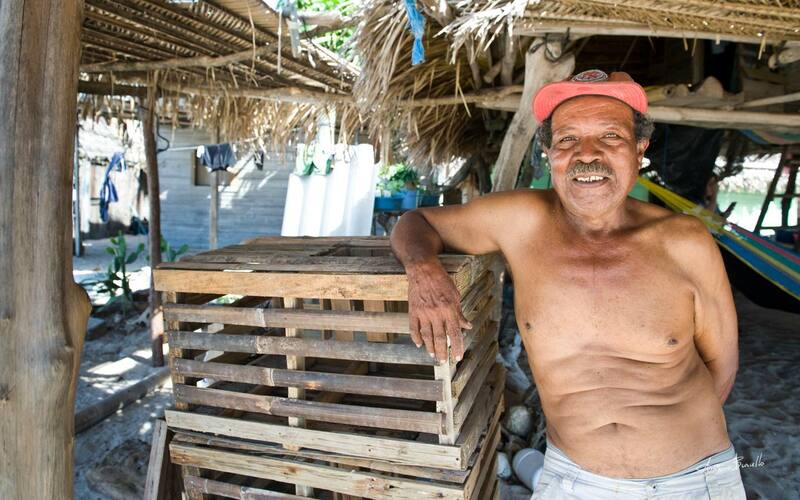 Vincente Guzman, an old fisherman from the west side of Honduras, He moved to Camb Bay, Roatan island with his family 25 years ago. 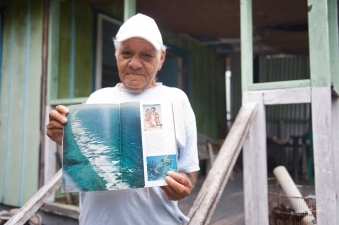 He also like to fish lobster in free dive, and he loves teaching how to fish to his young grandson Arturo. 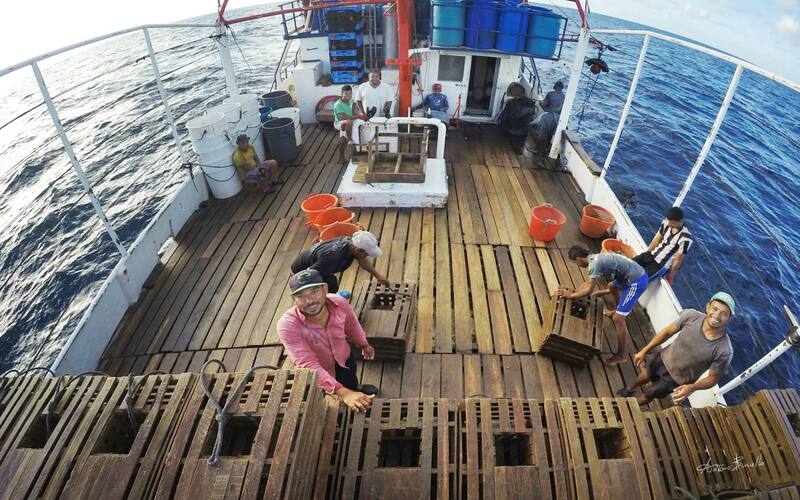 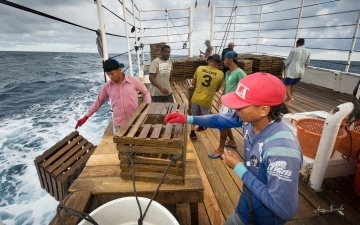 Aboard of a commercial lobster fishing boat el quebrador (the breaker) takes the traps when they are pulled out and throw them back in the water once they are empty. 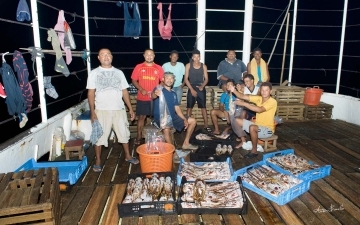 Fishermen pulls out and throw back in the water 1500 traps every single day, working hard from 1am to 5/6 pm, some times later. 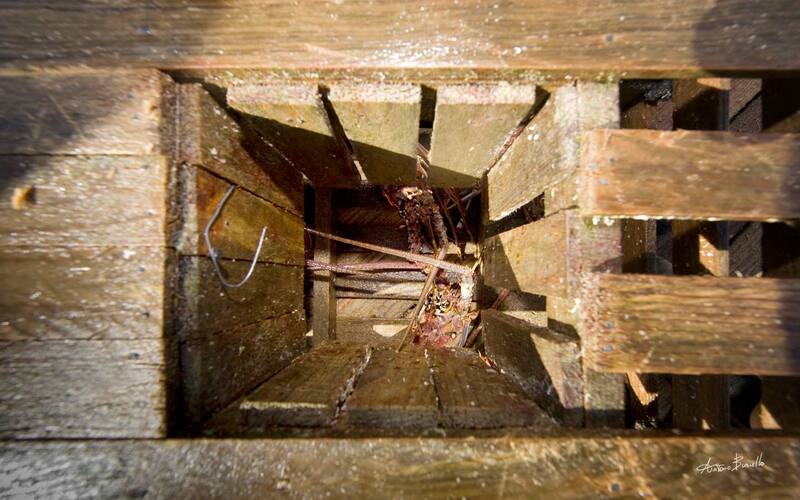 Traps have cement on the bottom, that makes them quite heavy, and often sea condition is rough or it is raining, making the process even more difficult and dangerous. Grazzia Matamoros, WWF/MAR Fisheries & Marine conservation technical officer. 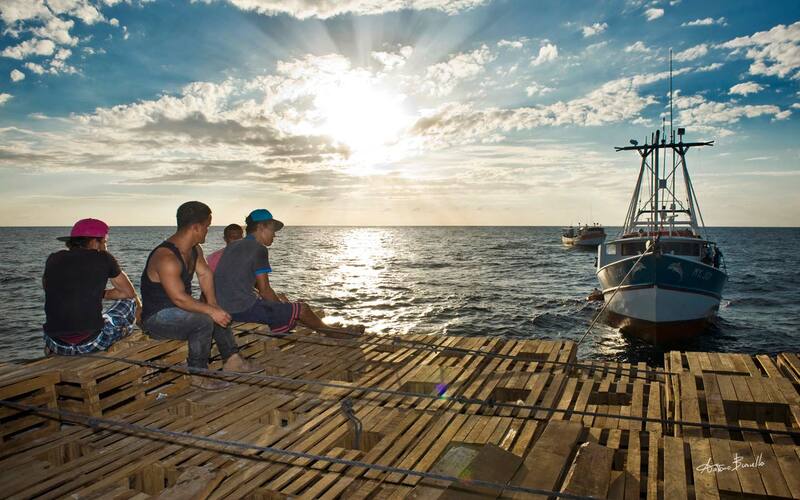 WWF has been working for years with Central American and Caribbean countries involved in lobster fishing to obtain a more responsible fishery, in line with the growing demand on the market. With an average of 37,000 tons of lobster fished every year and an estimated value of US$500 millions, lobster fishing is one of the largest and most important fishery in Central America and Caribbean, providing a livelihood for approximately 250,000 people, including artisanal, commercial fishermen and all the people involved in the process until the lobster reach the buying countries (FAO 2013). Commercial fishing lobster can be done with traps or with scuba divers. Scuba diving methods are very dangerous, it is considered one of the most dangerous job in the world that leaves many people dead or paralysed for life. With the ordinance OSP-02-09 for the “Regional Regulation of Caribbean Lobster Fishing, issued by the organization for Central American Fisheries and Aquaculture Sector (OSPESCA) and signed by the governments involved in lobster fishing in 2009, fishing with scuba divers was declared illegal. 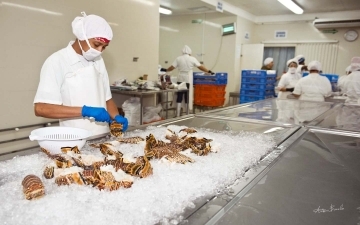 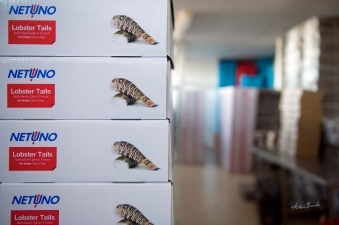 Despite new laws and the threat of stopping buying lobster from the U.S, it is a matter of fact that in some countries like Honduras and Nicaragua this method is still allowed, because of the high revenue. 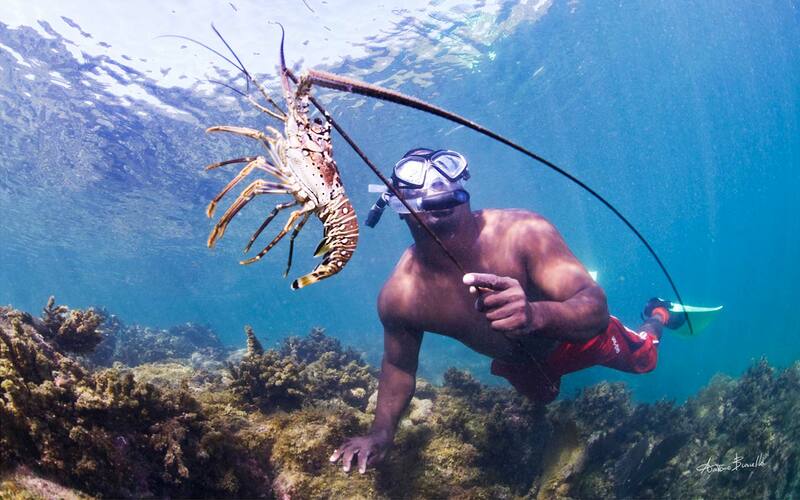 Dexter is a scuba diving lobster fisherman. 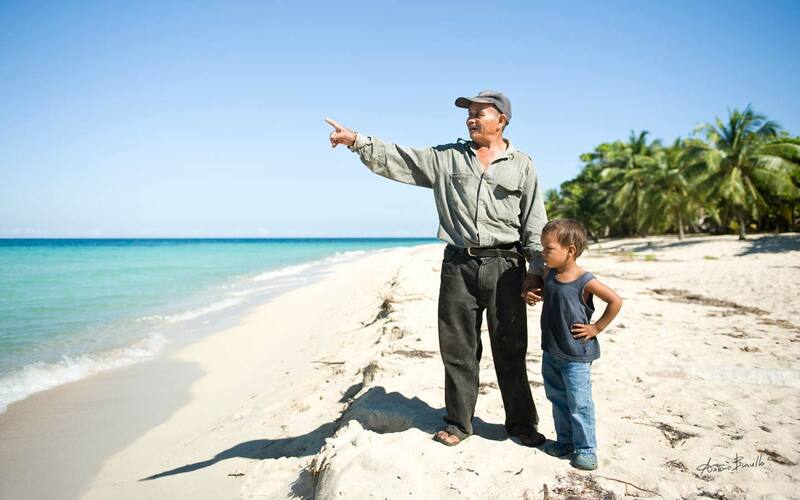 He is a 47 years old father of 7 children. He is a Miskito, an indigenous person from Aguas, a little village two days of boat ride up the river deep into La Mosquitia, a tropical forest between Honduras and Nicaragua. 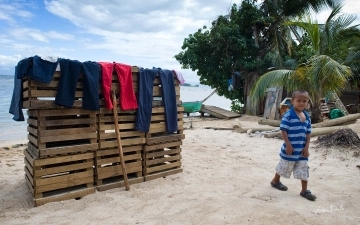 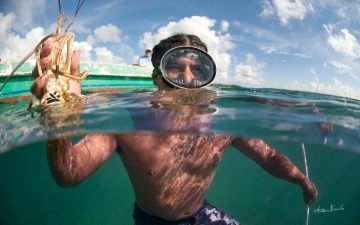 The Mosquitia is probably the poorest region in the Central America, where most of the lobster scuba divers come from. 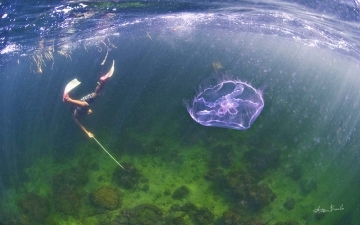 He got paralysed during his second dive of the morning, they dive up to 15 times per day at an average depth of 90 feet. His captain left him to the boat I was on during my trip to the fishing banks, asking to take him back to the mainland, so he could keep fishing, he know that we will not get back on the mainland before 4/5 days making the therapy worthless, but he didn’t care. Dexter had to wait 6 days before to get the proper medical treatment and according to Dr. Rafael Diaz that treated him at the decompression clinic in Roatan, Dexter will never walk again, just like many others he treated before. 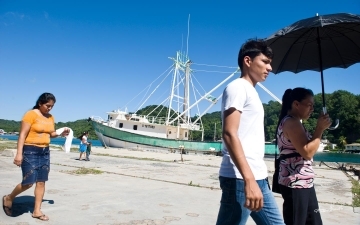 There is no statistic about the dead and it is hard to quantify how many divers are paralysed for life in Central America. 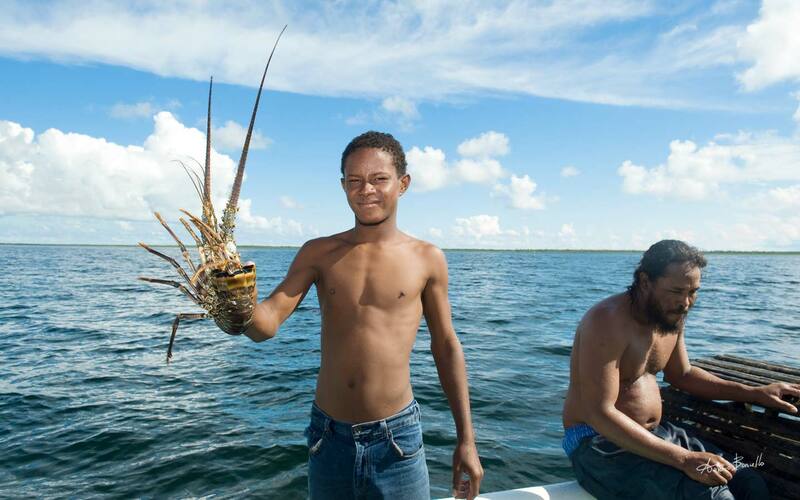 However the Inter America Commission on Human Right IACHR stated that in 2013 more then 400 people were reported injured from lobster diver just in Honduras. Maria and his brother Marcos buy lobsters from local artisanal fishermen and sell them to restaurants, and people from their dock. 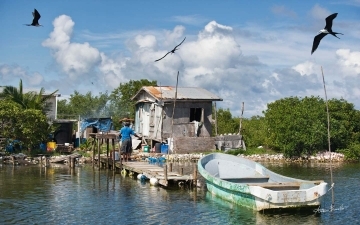 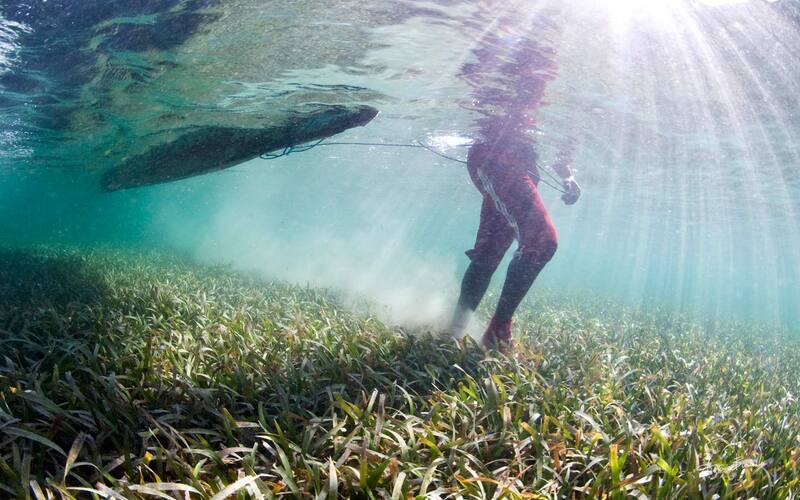 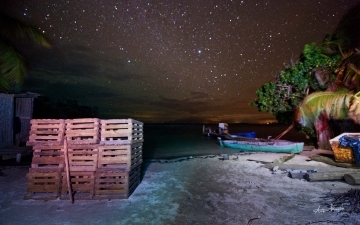 Lobster fishing represent the most important income for artisanal fishermen in Belize. 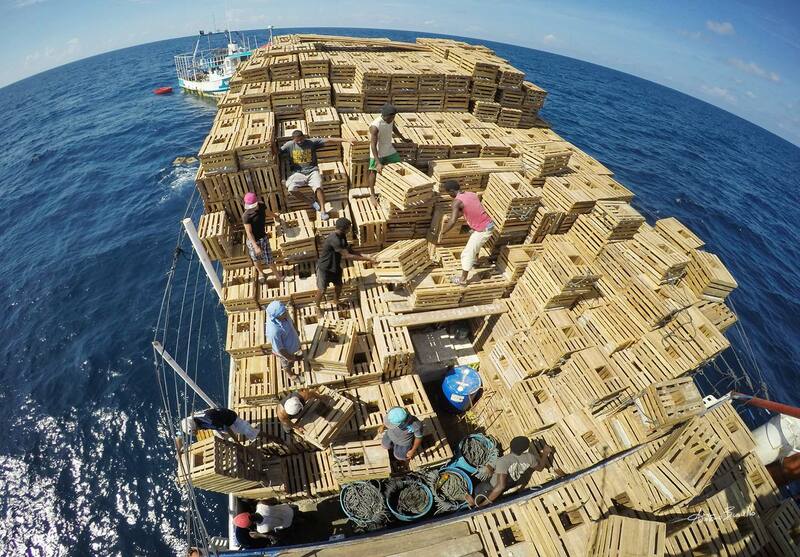 This fishery is seasonal, they are allowed to fish for eight months of the year. 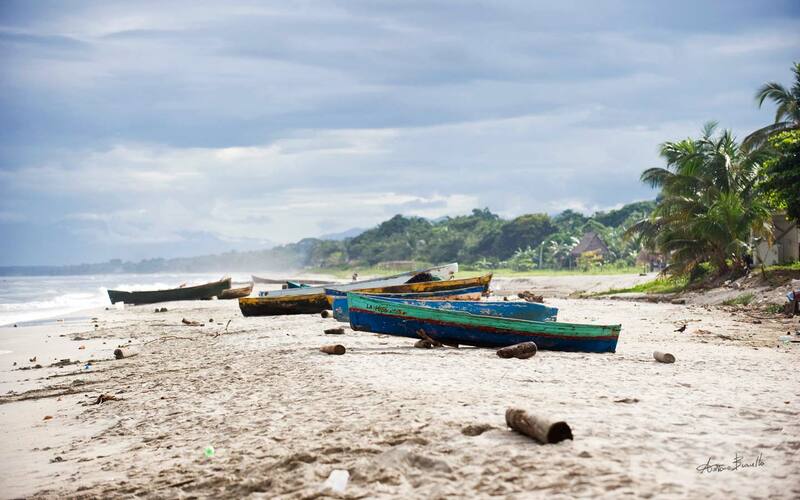 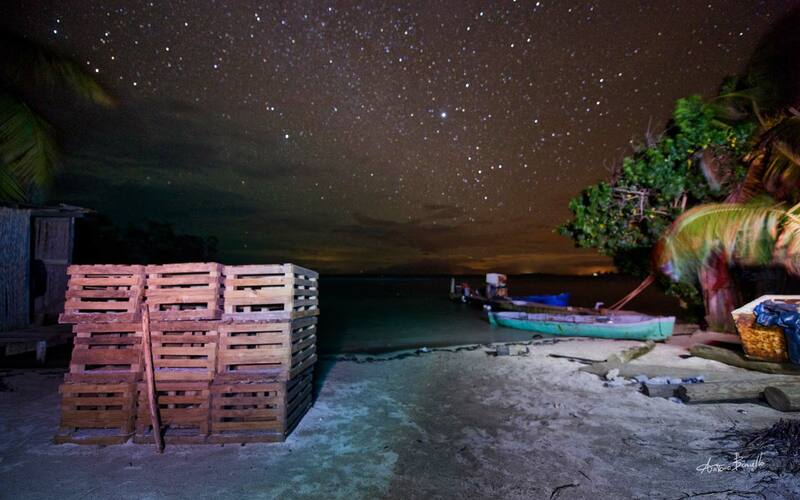 Fishing boats in Sambo Creek, Honduras. 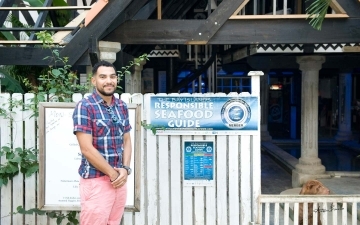 in 2009, for the first time in the Central America and Caribbean waters, it was introduced a 4 months ban on lobster fishing during the reproductive season, issued by the OSPESCA (Central America Fisheries and Aquaculture Organization ) and signed by the governments on May 21, 2009, and It is still valid. 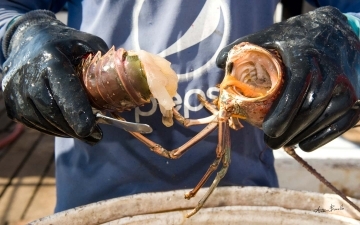 Along with the ban a new set of rules were introduced, like the use of lobster traps with an escape opening for juveniles, the return of female carrying eggs lobsters back in the water, a minimum lobster size and the prohibition on lobster diving. 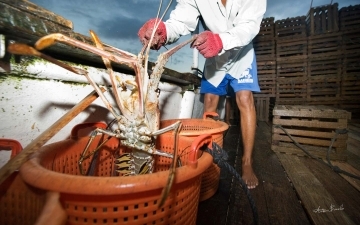 Lobster fishing is seasonal, they are allowed to fish for eight months of the year. In 2009 was introduce a 4 months ban during lobster reproduction time in all central America and Caribbean waters. 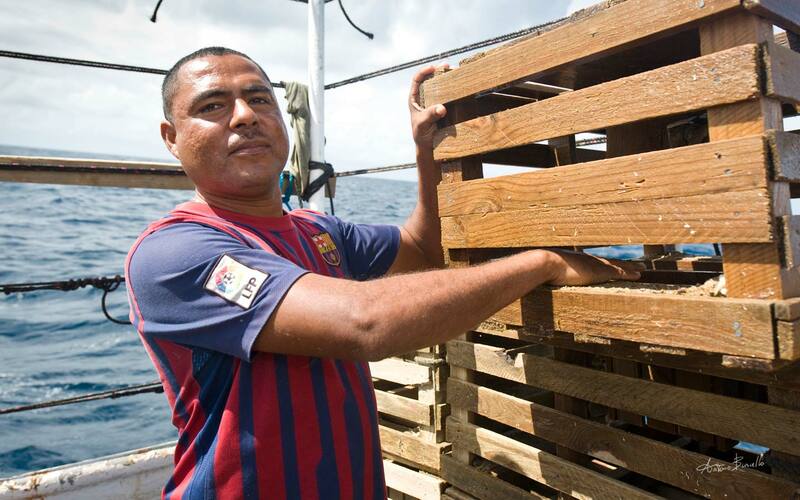 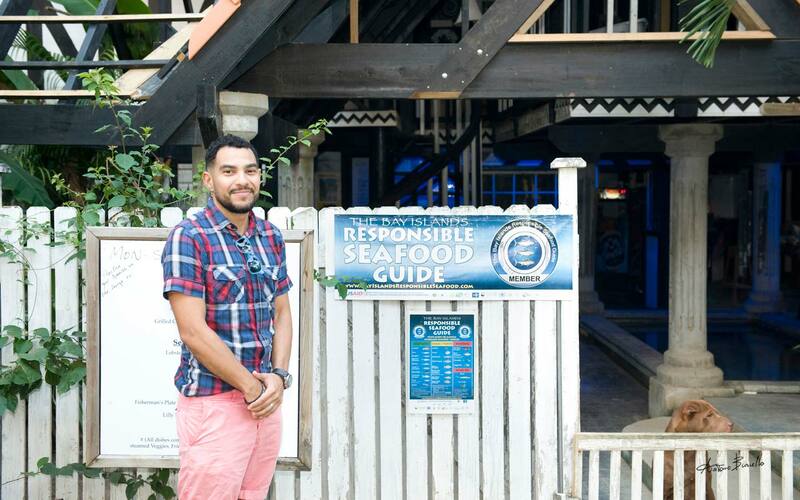 There are many cooperatives in Belize that buy lobsters from artisanal fishermen and sell them aboard. 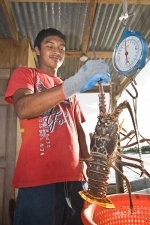 However many fishermen prefer to sell the lobsters directly to the local markets or restaurants.